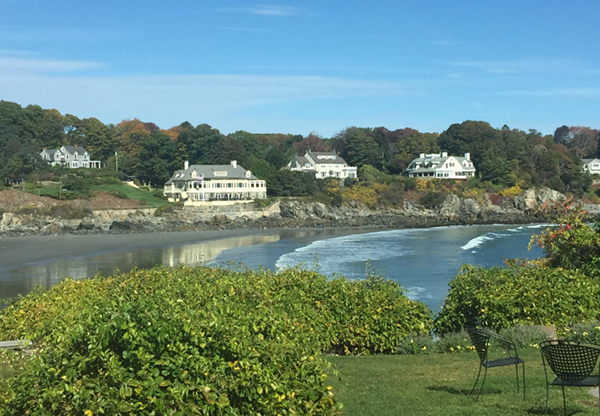 Our next Self Care by the Sea retreat is scheduled for the weekend of April 12th – 14th, 2019 at the beautiful Stage Neck Inn in York, Maine. 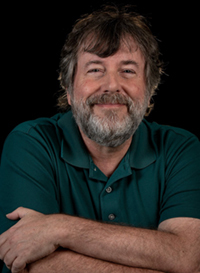 I’ll be joined by Russ Hudson, author of The Wisdom of the Enneagram. The intention of the retreat is to help you get to know yourself in a deeper, more meaningful way so you can center your life around what matters most. Each retreat is unique and focused on your needs. If you’re feeling stuck, ready for a time out, anxious to practice better self-care, or excited to make new changes in your life, you’ll find the strategies, support, and care you need to move forward. How to lovingly and effectively shift the behaviors and patterns that keep you stuck. How to use your head, heart and gut instinct to make better choices and decisions. How to uncover what’s really going on beneath the surface of a life challenge so you treat the source instead of the symptoms. How to release the need to control your life so you can relax and ignite synchronicity. How to calm your busy mind so you can be present, sleep better, host meaningful connections with others, and stay aligned with your Higher Self. How to release the attachments that keep you in a chronic state of anxiety, disappointment and resentment. How to use the Enneagram typing system to heal, repair, and strengthen your personal and professional relationships. During the retreat we’ll use a variety of tools to support you – individual coaching to address your specific needs; partner exercises to uncover hidden desires while connecting with others in a meaningful (and memorable) way; and honest conversations that bring what’s unconscious to the surface so you can resolve the blocks that keep you stuck. 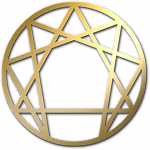 One of the transformational tools we’ll also be using over the weekend is the Enneagram. The Enneagram is a spiritual and psychological typing system that helps you understand yourself and others in a powerful, new way. 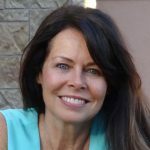 Unlike most personality profile systems, the Enneagram is extraordinary in its ability to capture the essence of who you are including the unconscious patterns that keep you stuck, the ways of being in the world that serve you, and those behaviors that hinder your ability to express yourself fully and freely. I’ve found the Enneagram to be surprisingly accurate and extremely helpful in supporting my own growth and I know you will, too. To get the most out of our time together, you’ll want to learn more about the Enneagram and take the test to determine your type. You can do so at EnneagramInstitute.com. As a special bonus, on Saturday night you’re invited to join my husband, Michael Gerrish, for an evening of intuitive readings. Michael makes an important contribution to our retreats, not only by the accuracy of the individual readings he shares with attendees, but by the collective messages that come through for the group. I think you’ll be touched and inspired by his healing gift. This event is for men and women who are ready to practice a higher level of self-care. The weekend is life-changing if you commit this time to yourself, show up ready to learn, are open-minded, and excited to discover important parts of yourself that have been silenced or ignored for too long. If you’ve studied the Enneagram you’ll find the retreat shows you how to combine your knowledge with practical action that will help you operate at a higher level in your everyday life. To secure your spot, please book early. * In order to secure your spot, you must pay the $795 workshop fee in full. Please register only after you have checked the dates against your calendar to be sure you can truly commit to the retreat. Past retreat participants tell us that, although they initially had some fears about paying the entire retreat fee up front, making the financial commitment bolstered their determination not to let anything get in the way of their self-care. 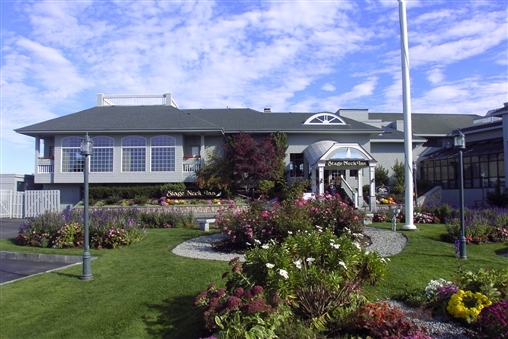 NOTE: Although we recognize the convenience of booking online, please book your room at the Stage Neck Inn by calling 800-340-1130 so that you can identify yourself to the Inn staff as a retreat participant. This will ensure that you get our special rate and that the Inn has paperwork specific to the retreat ready for you when you check in. The retreat is SOLD OUT. Put your name on our wait list to be notified of any cancellations as well as the next retreat date. IMPORTANT: The workshop fee is nonrefundable so please be ready to make this commitment to yourself. The fee is transferable, however, so if for some reason you choose not to attend, you’re welcome to sell or give your spot to someone else of your choosing. Should you do this, please be sure to let us know so we update our list of participants accordingly. We’ve reserved a limited number of water view rooms so if that matters to you, be sure to reserve one right away. Also, please email nicole@cherylrichardson.com with any questions about the retreat. I look forward to seeing you by the sea in April! © 1996 - 2019 Cheryl Richardson. All rights reserved.